« Videolicious: Dakota Fanning’s room was made for shoes? You can’t actually read the words on this picture, but its a menu from a Chinese restaurant I went to with my parents. 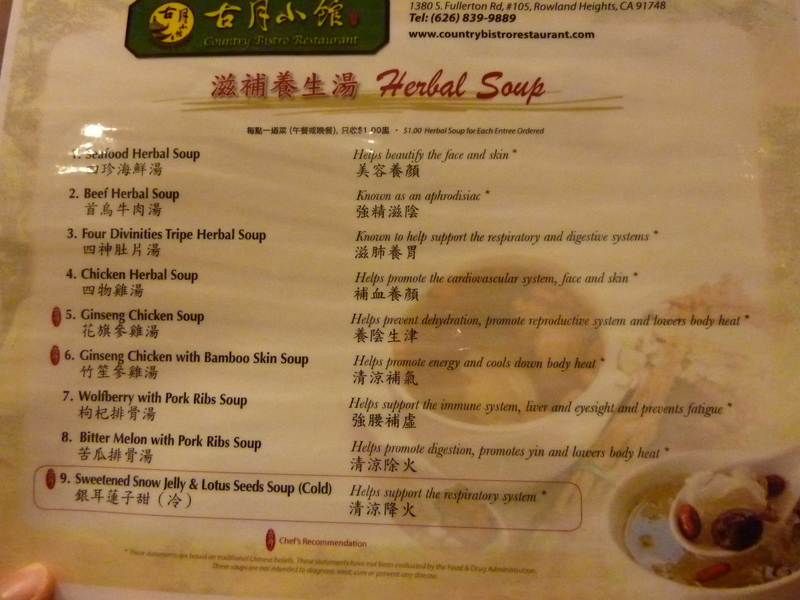 On the left side are names of Chinese herbals soups and on the right side are the medicinal properties these soups have. For Example “Beef Herbal Soup” is known to be an aphrodisiac and “Wolfberry with Pork Ribs Soup” helps support the immune system, liver and eyesight. People buy benefits not features. These soups may have, for example, Vitamin C or or Serotonin in it but that doesn’t mean anything unless the consumer understands what these nutrients help with. So what do you think?